"You ever wonder why Shishi show off their teeth? It's to scare off the evil spirits and demons that lurk around." 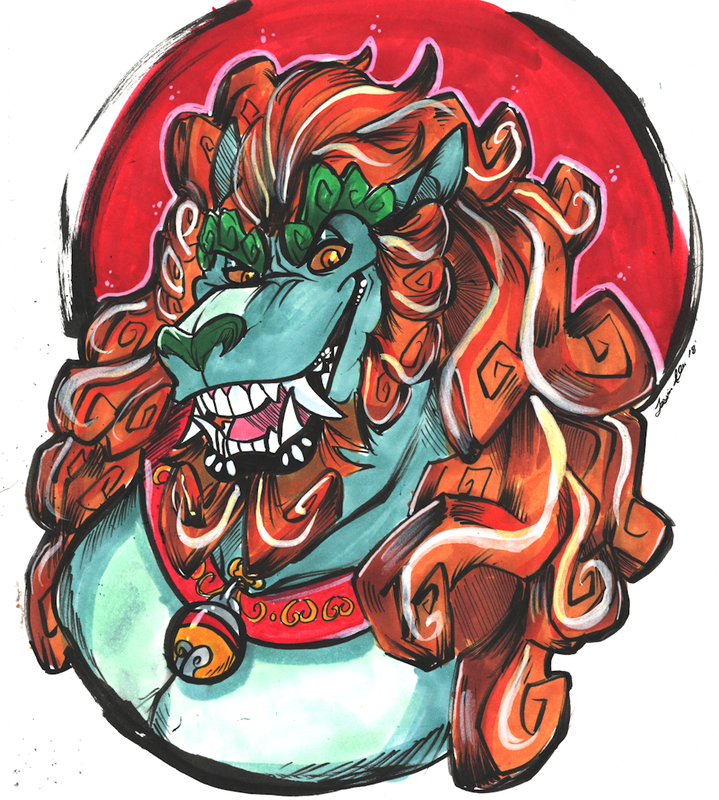 Twitter continues to be a source of amazing talent that I explore in terms of branching out and finding new artists, and how lucky I was to find Slurku offering marker commissions that would be shipped over! I took my early opportunity for sure seeing how vivid the details were on their marker details, and another physical piece of artwork to keep in my belongings. Thank you again Slurku for the amazing illustration! Find Slurku's other works in these following websites!